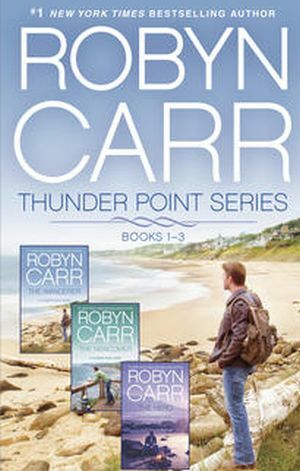 Enjoy books 1-3 in Robyn Carr’s fan-favorite series, Thunder Point, now available for the first time in one collection. When Thunder Point newcomer Hank Cooper learns he’s been left an old friend’s entire beachfront property, he finds himself with a community’s destiny in his hands. With the whole town watching for his next move, Cooper has to choose between his old life and a place full of new possibilities. A place that just might be home. Single dad and Thunder Point’s deputy sheriff “Mac” McCain has worked hard to keep his town safe and his daughter happy. Now he’s found his own happiness with Gina James. But when Mac’s long-lost ex-wife shows up in town, drama takes on a whole new meaning. Mac and Gina know they’re meant to be together, but can their newfound love withstand the pressure? In a moment of desperation, Devon McAllister takes her daughter and escapes to Thunder Point, a place she hopes to be invisible, a place she’s pretty certain can’t be worse than what they’ve left behind. 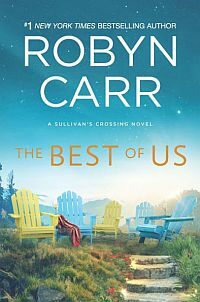 But as the widowed father of a vulnerable young boy, Spencer Lawson knows something about needing friendship…and is just the kind of man who could heal Devon’s wounded heart.